Another noodle dinner! Jeez, my wife is jealous as she loves noodles in all its various forms. 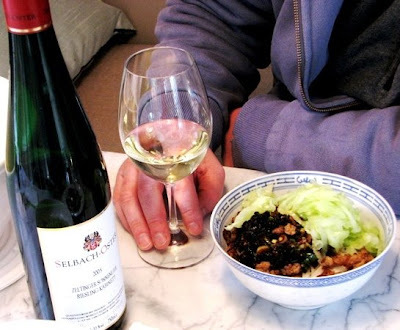 I agree, Riesling is perfect with noodles, then again I enjoy Riesling with turkey, ham, and pork rinds (seriously). The company is sometimes as important as the wine! (That is, as long as you weren't in the doghouse, hahahah)! !